A Special Place Just for You! | God has your back! My granddaughter Avery who is 4 gave me a gift the other day. She drew a picture just for me. 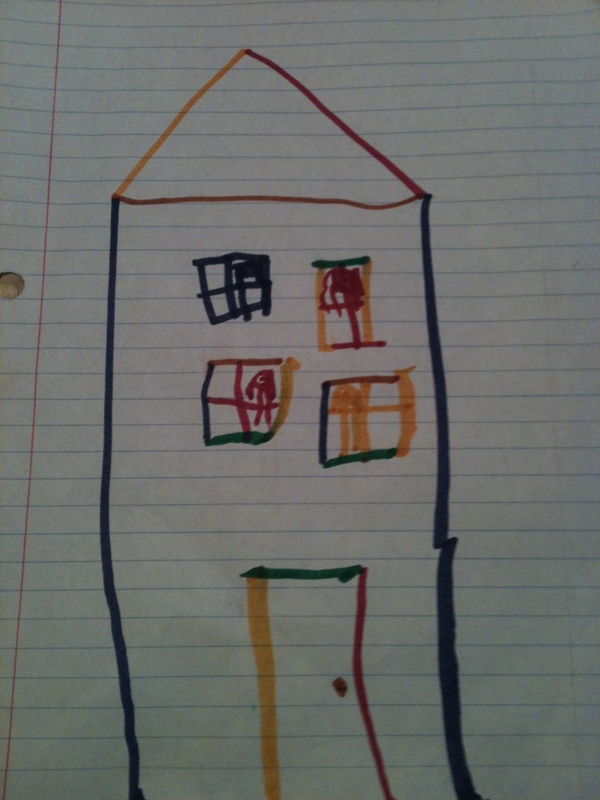 It is a “rainbow house.” She took the time to make it as special as she could. She made each line as straight and perfect as she could. To Avery rainbows are the most wonderful, beautiful and amazing things in the whole wide world. She figured if this house looked like a rainbow, it would be extra special. So she selected a different color to draw the lines for each wall, window and roof. It truly is a rainbow house prepared with love just for me! As I was thanking the Lord later that night for a granddaughter who is growing up to be so smart, sweet and creative I was reminded that this is not the only special house that has been crafted just for me. What a glorious promise this is from our Savior. Jesus did not want His disciples to be worried. He wanted them to know the depths of love that He had for them. He would leave them for a while, yes, but His leaving would allow Him to go and prepare a wondrous place for them. They would be able to receive a mansion, a dwelling place in heaven with Him forever and ever! I know that because I have repented of my sins and placed my faith in Christ that He is also preparing a place for me so that where He is one day I shall be too. I don’t know what it looks like but I know it will be special. My granddaughters are already learning about the things of the Lord. I see them bowing their heads in prayer, I hear them singing songs of praise and one day I look forward to hearing of their personal professions of faith. What a glorious day that shall be! And some day in Glory…I look forward to seeing the “rainbow houses” that the Lord has prepared just for them. This entry was posted in Christianity, faith, God, in My Father's House, inspirational, John 14:2, ministry work, missions, salvation and tagged Christianity, faith, God, grandchildren, in My Father's House, inspirational, prayer, rainbow, redeemed, religion, Witnessing. Bookmark the permalink.